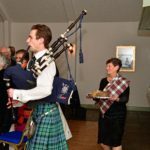 A well-attended Burns Supper was held in St Bride’s Primary School at North Ballachulish on Wednesday January 30. 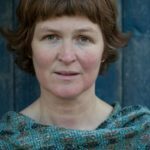 The children entertained their parents and families with songs, poetry and musical pieces by Robert Burns. 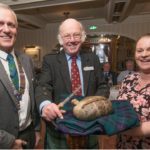 Andrew Orr, member of Lochaber Pipe Band, piped the haggis into the hall after Jim Sutherland gave a superb rendering of Holy Willie’s Prayer. 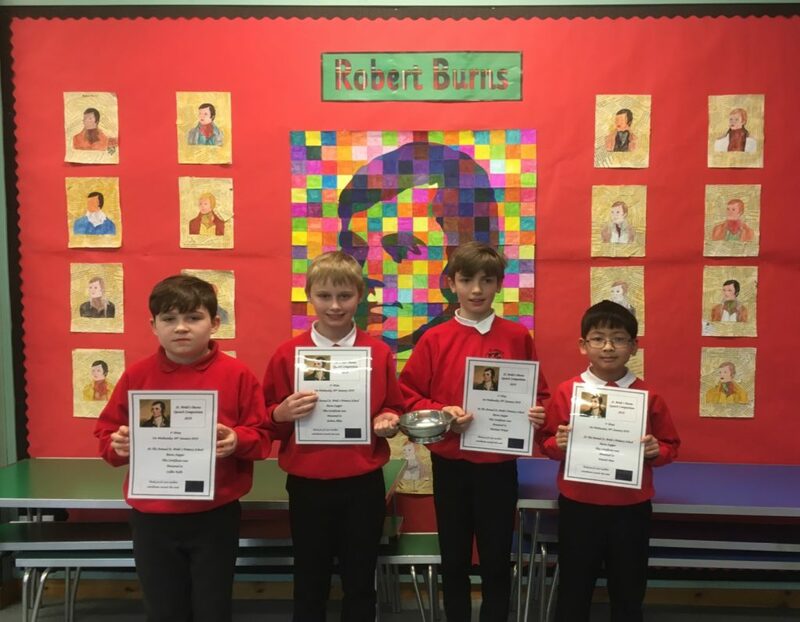 The four winners of the St Bride’s Robert Burns Quaich were Cullen Kelly (P5) for his attractive poster of a haggis using recycled materials and for including the words of Burns’ poem To a Haggis; Hamish Man (P5) for his very clear playing of Auld Lang Syne on his violin; Harrison Wyatt (P7) for his art and craft work based on Burns poem To a Mouse. Harrison applied the Zentangle Art Technique to his mouse drawing and made a little felt mouse using thread for whiskers. Joshua Allan (P7) was another winner for his amazing efforts in his two presentations – a tuneful singing of Auld Lang Syne and a detailed PowerPoint presentation of the life and work of Burns. The children received certificates at the Burns Supper and will be presented by prizes from the Lochaber Burns Club at assembly.